Farm visits by appointment only! Please call ahead for a visit. This is our home and farm. I don't have business hours with my alpacas, but I do enjoy showing them to visitors. I want to make sure we are home when you come for a visit. We don't allow visitors when we are not home! This is for the safety of our alpacas and you! We hope you will find your journey through our site an intriguing and heart warming experience. These gentle creatures are very docile and easy to manage. They have big round dark eyes that tug at your heart strings! Alpacas make a humming noise almost continously. It is a very soothing sound. Alpacas are very low maintanancel They only require a good orchard grass hay, half a cup of alpaca pellets 2x a day, and a good lamb mineral powder. They can utilize the hay that they eat almost completely compared to a horse. Alpacas need to be sheared once a year in the spring. 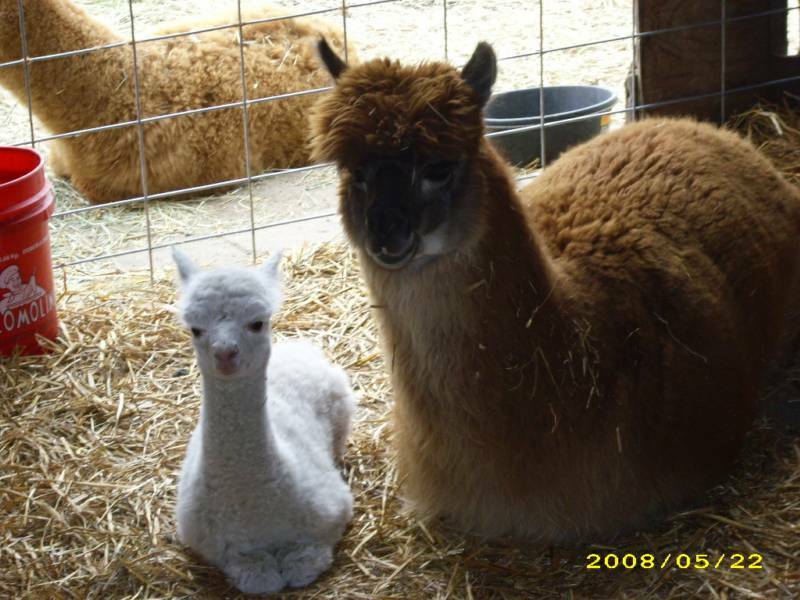 Apacas have one cria (baby) in 11 to 12 months. They can be bred any month of the year. Alpacas come in 22 different color shades and any pattern. 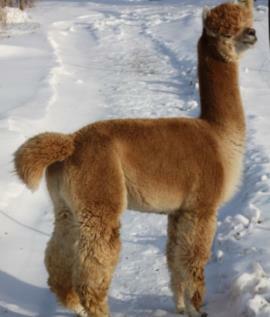 We are breeding for a high quality alpaca with luxurious fiber for spinning into yarn. This yarn will be used to make highly sought after alpaca garments.. We will help you find and purchase the alpaca package that is the right fit for you and your farm. We also will offer agisting (boarding) of your alpacas for a limited time if this makes alpaca ownership a possibility for you. We can board them for a short time if you need more time to get your fencing ready. Give me a call or email today. CHECK OUT WILDFIRE, A SUPER HERDSIRE ON HIS PAGE!! Welcome to my website! 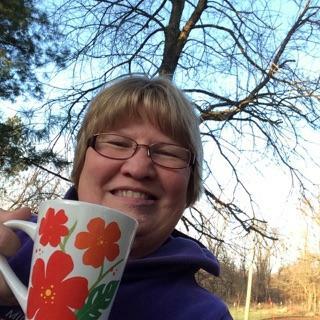 Hope you enjoy the visit! Give a call or send an email and come for a visit!